Raw foods are what’s cooking in the Indian restaurant business now. In the Noughties, sushi and sashimi went from being the urbane Indian traveller’s cuisine choice to touch the heart of mass Oriental cuisine, which believes in ‘the fresher the better’. 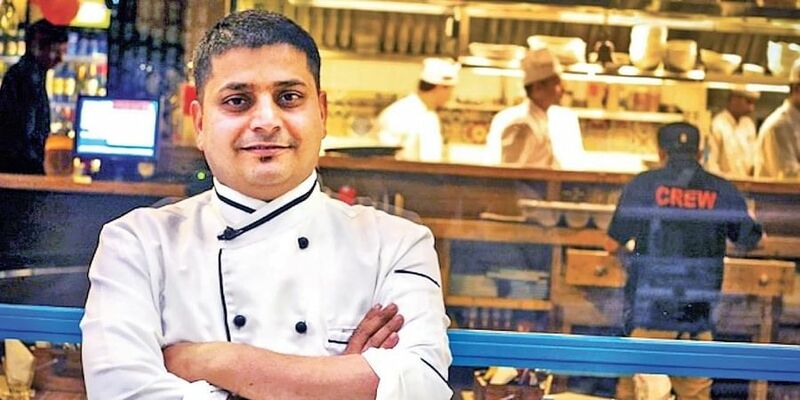 Au naturel is no more confined to sushi bars in Shibuya, as the impatient mistress of taste constantly pushes the buttons of experimental chefs in India; satiation remaining just beyond the ladle’s reach. At the turn of the century, sushi and sashimi led the Japanese wave in eating out in the cities. Chefs began to look beyond just nori sheets, fermented vegetables, sticky rice and soy. Suppose fish in its glorious freshness cured with a dash of lemon and spiked with a sprinkling of herbs makes the cut? 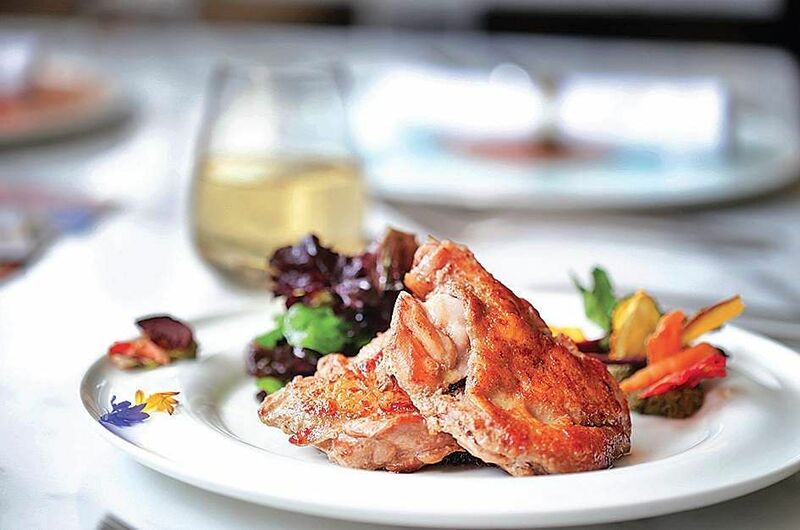 The luxurious bar and fine dining restaurant Nueva in Sangam Courtyard, Delhi, gets real with customers, transporting them to Peru, literally. The restaurant compliments its exotic menu with muted decor, edgily mod crockery and suspended glass globes. Eating here is embarking on a gastronomic foray into seeking out Latin America's best tables in haciendas and open cafes of Peru, Chile and Argentina. The exotic ‘ceviche’ is Peru’s possibly most famous export to the world. A suitable accompaniment is traditional Pisco Sour made from grapes; a potent South American spirit with a history of over 400 years and a passionate following. Traditional ‘ceviche’ is made with raw fish and cured in lemon juices before being served cold; or hardly warm. On the lines of the Japanese sashimi, ceviche has its devotees who argue it’s better than its Oriental cousin, thanks to the flavours of lime, cilantro, raw onion, etc. At Nueva, the range of ceviches is wide: the Peruanito, comprising white fish and sweet potatoes, the Cilantro and Shrimp, and of course, the Scallop Picante from raw scallops for the more adventurous. 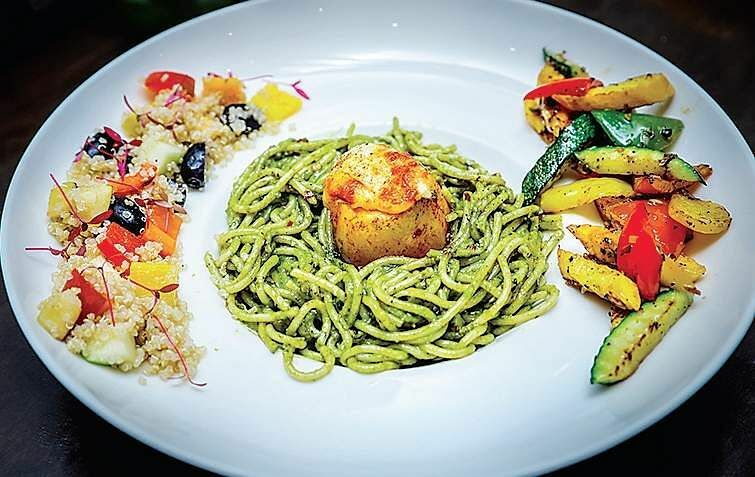 Latin America doesn’t get many air miles from Delhi’s travelling classes, but Nueva blurs the geographical distance with its wonderfully authentic tastes. Besides the usual suspects—sandwiches, burritos, and corn on the cob—exotica comes in the form of Papas Rellenas comprising potatoes with talarines verde (green noodles) and a grilled vegetable salad that ticks all the right boxes for healthy eating. The Peruvian homemade delicacy Chicken Limon Piccata (a buttery chicken dish) is a must-try. The Lamb Osso Bucco a La Cacerola (a traditional recipe with lamb shanks) which comes with a side of mash and beans aims to warm the non-vegetarian’s culinary cockles. An observation illustrated perfectly in Arroz De Chaufa, Peruvian-style chicken fried rice that comes with scrambled eggs, green onions and soy sauce. The desserts may vary a bit from the strict Peruvian ideal of sweethearts, but the Andean Mountain Dreams, saffron-infused quinoa, panacotta and edible flowers make a sugary argument. At Nueva, service is full of Latino charm; special mention goes to Diego, who acts as the best guide to a culinary cruise through Latin American food. He is a true aide and raconteur, listening to your preferences and ordering the perfect dish, followed by a little history of its provenance, a true WikiPeru. If Diego is acting fresh, rest assured, he means it.